Having decided to spend a month in Japan, I wanted to see more than the must-see Tokyo, Kyoto, Nara, Hiroshima, and I wished to experience a different taste of Japan. I like spontaneous travel and never plan much, but I usually do some research before leaving to get an idea of the places that are ‘not-your-usual-itinerary’. Shikoku island was definitely on my radar, although when I arrived from the beautiful Naoshima I had no precise itinerary. I went straight south to Kochi, to get a first taste of the smallest of Japan’s four main islands. I would decide what to visit later. 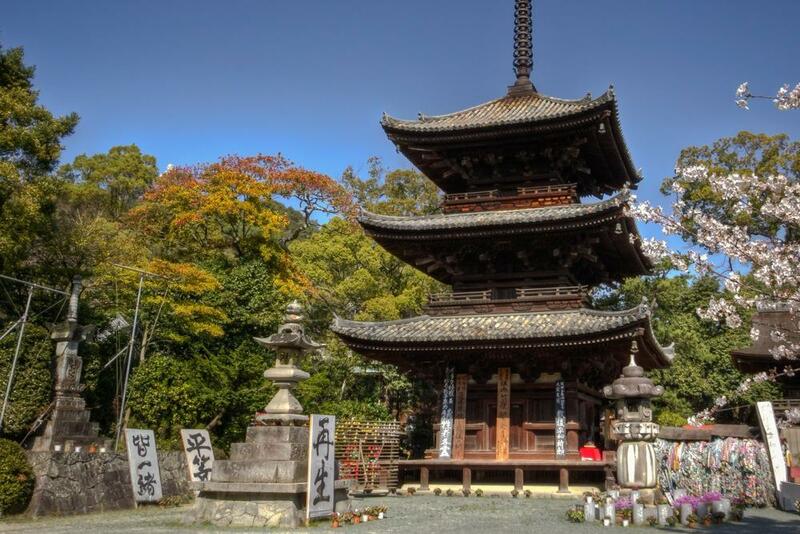 Unspoiled nature, beautiful temples, and hot springs: Shikoku has it all. Kochi itself is not particularly remarkable but the atmosphere looked quite different from the one I had experienced before: it seemed more relaxed and laid-back, somehow less formal and conservative, although this was just my impression and I might be wrong. 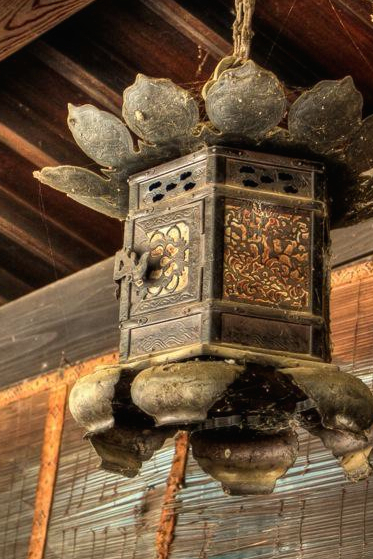 Japanese culture is so different, often difficult to understand for Westerners and for that reason extremely fascinating. Kochi was conveniently located for a day trip to the Oboke gorges, one of the spots I knew I wanted to go to. I took advantage of my All Shikoku Rail Pass (traveling by train in Japan is a great way to go around but can be tricky) and went on the scenic train journey that led me to Oboke. 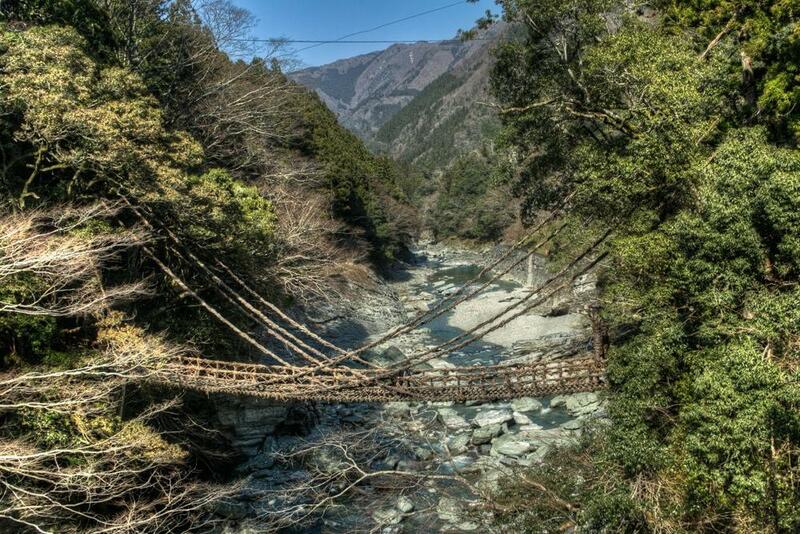 From that sleepy village, I took a bus to the Kazurabashi Bridge, the suspension bridge built with mountain vines and stretching across the emerald-green Iya river. It was as beautiful as I had imagined it and well worth the journey. 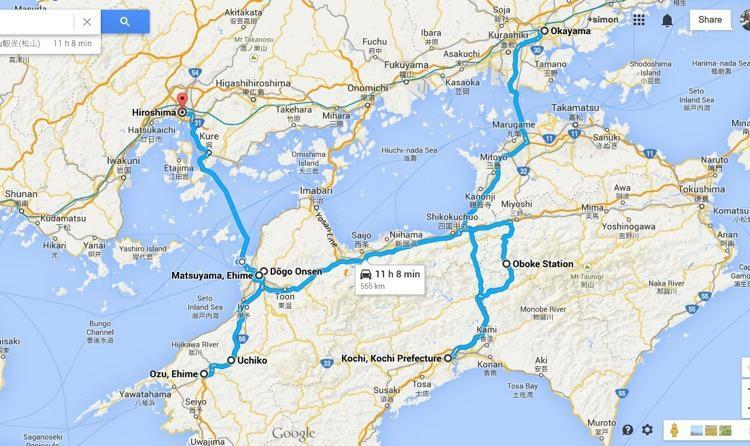 Back to Kochi, I decided on the following leg of my trip in Shikoku. I would go to Dogo Onsen, the neighborhood of Matsuyama famous for its hot springs, the oldest spa in Japan and likely the most famous. 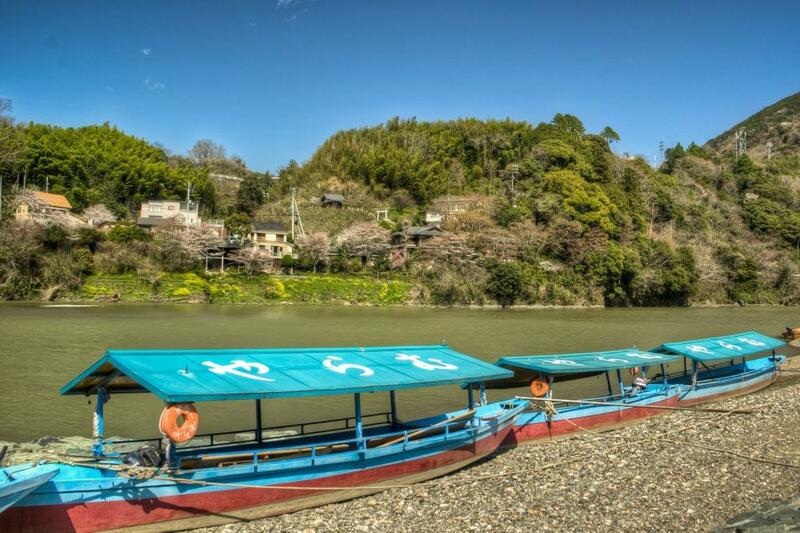 The idea was to spend there a couple of days and then head to Hiroshima by ferry, but I ended up spending one week in this charming area of Shikoku. 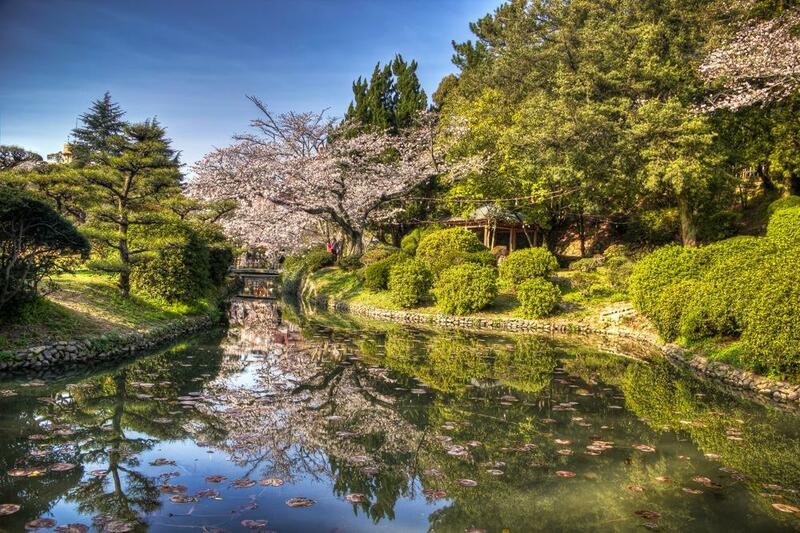 When I arrived, late March, the sakura were in full bloom, making the gardens at the foothill of Matsuyama Castle and the walking paths inside Dogo Park wonderful places for a stroll and to watch the locals enjoying Hanami, a deep-rooted traditional Japanese custom. 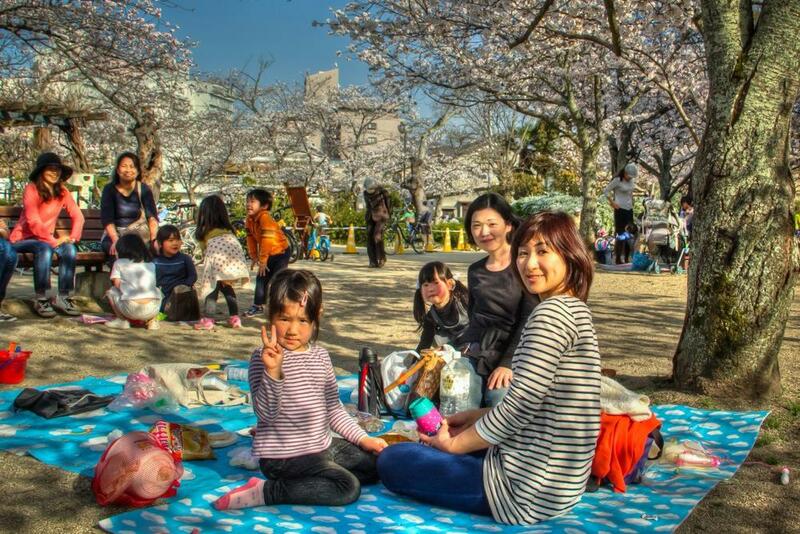 Picnic parties are not only for families or groups of friends but also for outdoor business gatherings between colleagues, often including speeches by some of the participants, followed by generous applauses. Matsuyama is perfectly located for day trips to interesting places nearby, easy to reach by train or other public transport. 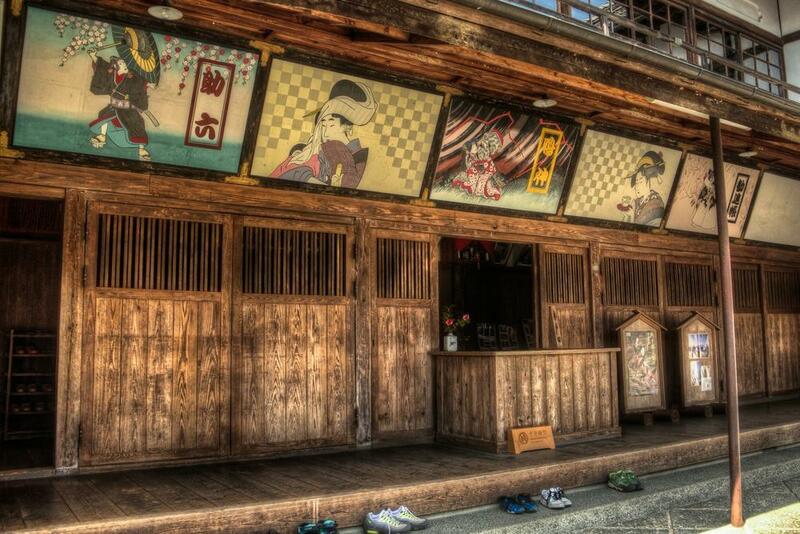 Ozu looked like a sleepy village, where only a few tourists set foot. From the station, I walked to the old town stopping by the river, dotted with colorful boats lying along the shore. Uchiko is a quaint little town with beautiful old houses , and as I strolled around I felt as if I was stepping back into how Japan must have looked like 100 years ago. 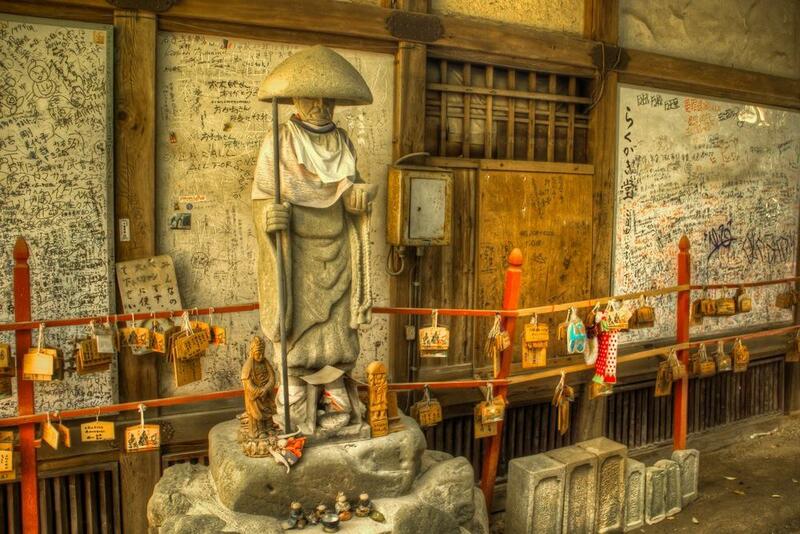 My favorite place, however, was the Ishiteji Temple. I reached it walking from Dogo Onsen, going through a cave disseminated with Buddhist statues and from which I emerged on the temple grounds. There, I felt awe-struck in front of the finely carved and tastefully decorated wooden buildings. It was the kind of place I was longing for, the scenes I had imagined and which were now before my eyes. 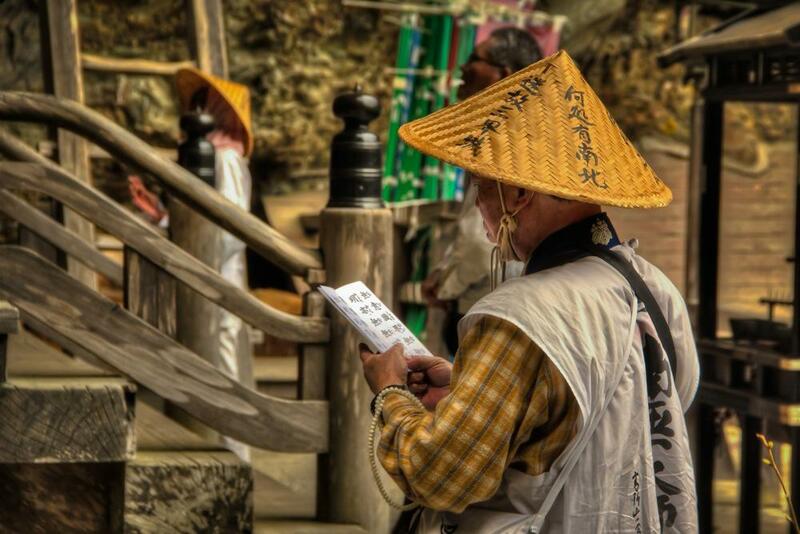 Shikoku is famous in Japan for its 88 temples walking pilgrimage and I was fascinated by the sight of the pilgrims in their white shirts, wearing a bamboo conical hat and holding a wooden walking stick, praying in front of the temples. 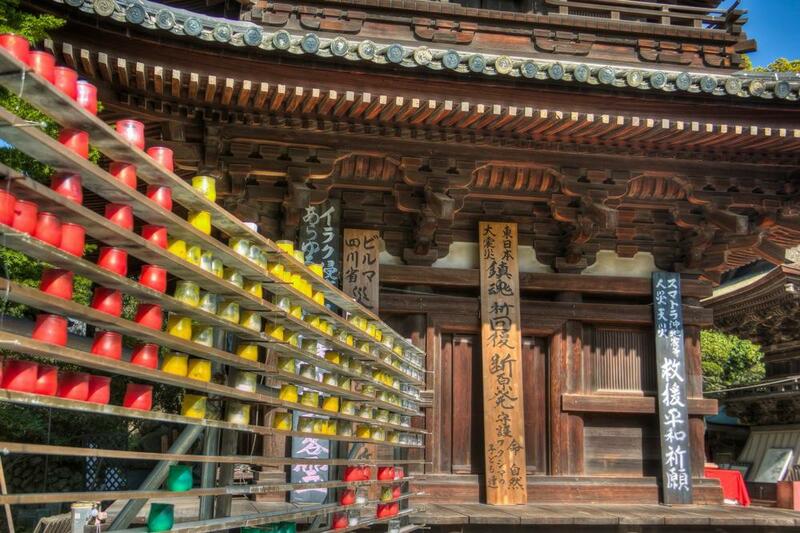 I looked at the Omamori, the charms sold at Buddhist temples and Shinto shrines as a way to get luck or protection. For a while, the Ishiteji Temple reminded me of Nepal, and the temples in Bhaktapur, Kathmandu, and Patan. 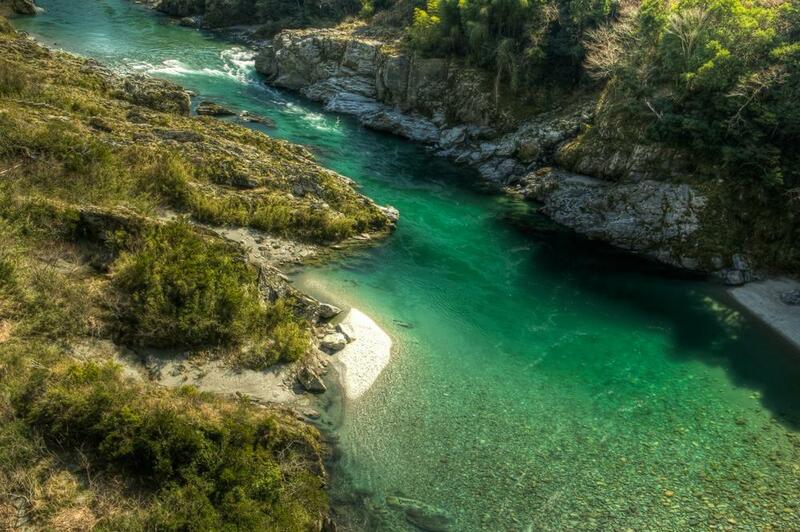 In Shikoku I had a different taste of Japan, the one I had been looking for, the one I won’t forget. 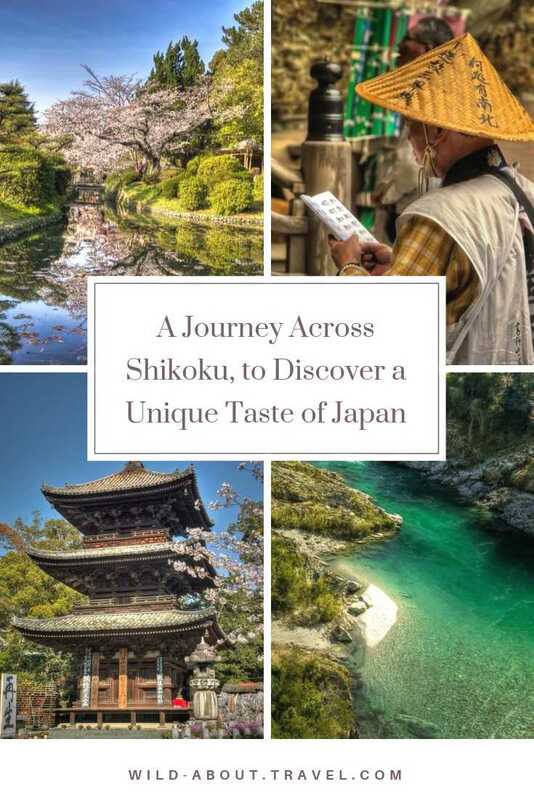 How to get to Shikoku: You can reach Shikoku island by air (there are 4 airports – Tokushima, Kochi, Takamatsu and Matsuyama) from several cities, by train from Okayama (riding across the Seto Ohashi Bridge) and by ferry from Osaka and Hiroshima. I arrived by train and left by ferry, and if you have enough time, I highly recommend mixing transport for a richer experience. Getting around: Unless you plan to hire a car, the best way to visit the island is the All Shikoku Rail Pass for 2, 3, 4 or 5 days. You pictures are amazingly beautiful!! Thank you, Mahee. I’m glad you like the photos. Have you visited Japan? Gorgeous. I love the use of HDR photography. It looks like such a gorgeous place! I can’t wait for my trip to Japan 🙂 It is only a couple of months away! 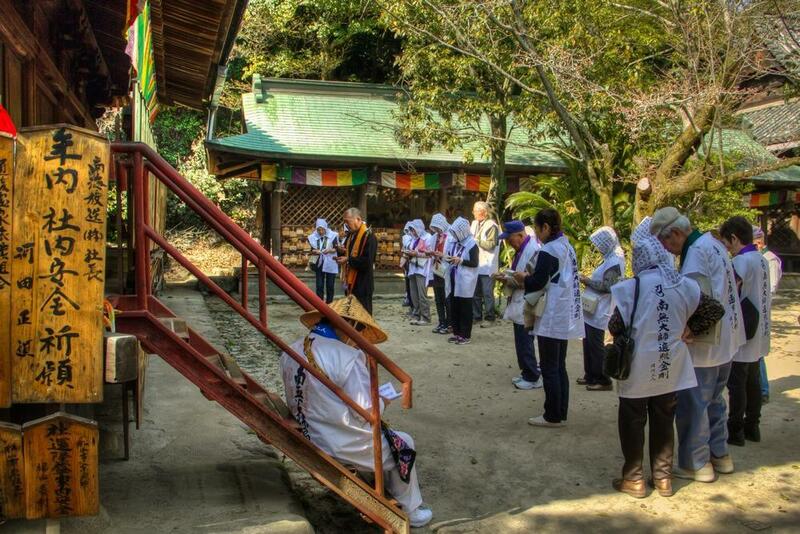 Many thanks for sharing your findings about Shikoku and for the inspiration. 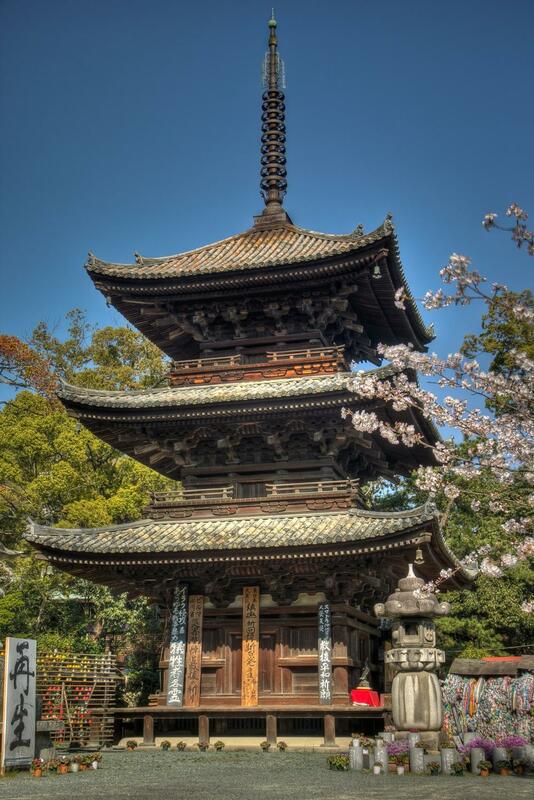 I am planning a trip to Japan and I was looking to add some very unusual destinations. Love the vine-bridge! I almost moved to Japan to teach English after college, but it never happened. Really need to visit one day. Beautiful shots. I was fortunate to visit Kyoto during the cherry blossom season about 10 years ago and enjoyed the Hanami festivals. Brings back great memories.